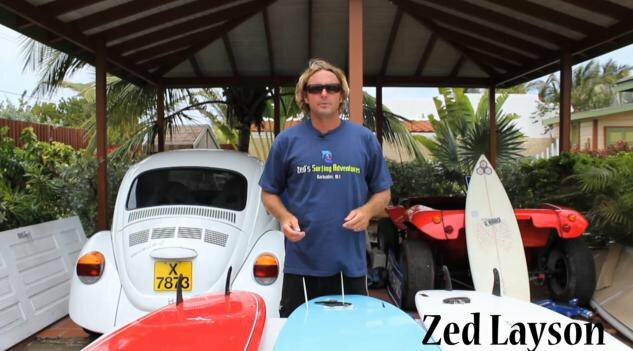 Welcome to our Daily Tips page where we break down several aspects of surfing and present it on online video for you to see. I have tried to make things very simple and brief and most of these tips i am just explaining the easy way to do things and not going into detail. What i have learnt over the last 10 years from teaching surfing is that most people will only remember the main points and not the detail so we have highlighted two or three main points in the each of the following videos, Take a browse through and i hope it has been helpful to some part of your surfing. Installing Fins - We chose to highlight the most popular fins used in our school such as FCS, FUTURE and the NSP fins. Putting a Leash on - We explain the rope, the railsaver, the leg rope, the swivels, and the Ankle Strap, did you know there is a Pocket for keys or money in some ankle straps? Learning to Stand - We go through our three step system we use to get people up to their feet in three waves. 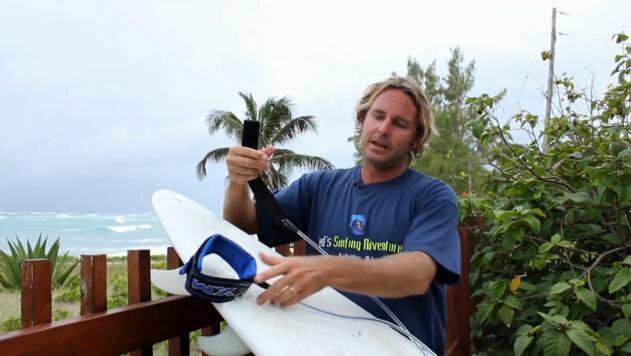 Waxing a Surfboard - We give you a few tips on waxing your surfboard. We have loads more to upload and each week you will see something new. Hope this helps you and feel free to email me whenever you need help.